Every person has a different take on maternity clothes. For my previous previous pregnancy, I wore more fitted pieces and had my bump on display. This time around I am reaching for more flowing styles and less clingy pieces. When it comes to the corporate office, it can be difficult maneuvering the right style or fit you want. Where you work or what you do, may also play a role in how you dress your bump. As an accountant, I have always worked in a business casual office, which is less formal that the suit and tie days. It allows you to have more flexibility with your wardrobe but still be professional at the same time. 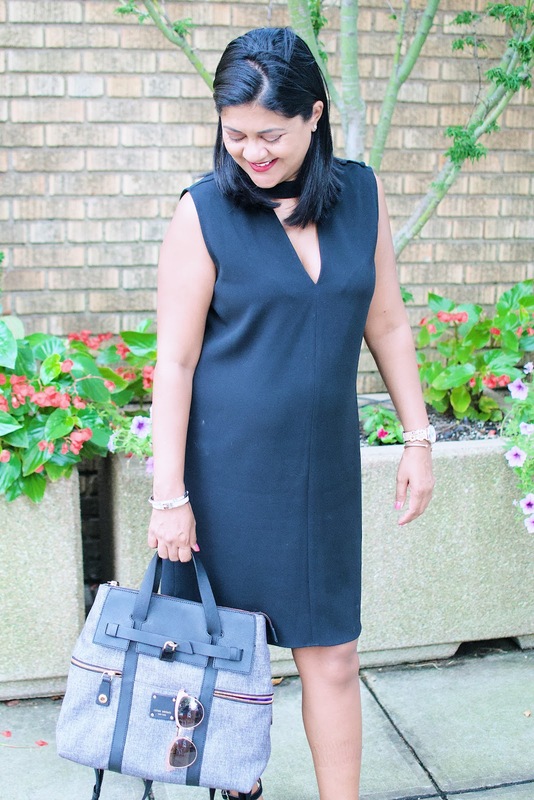 I put together two maternity styles you can easily wear to work. 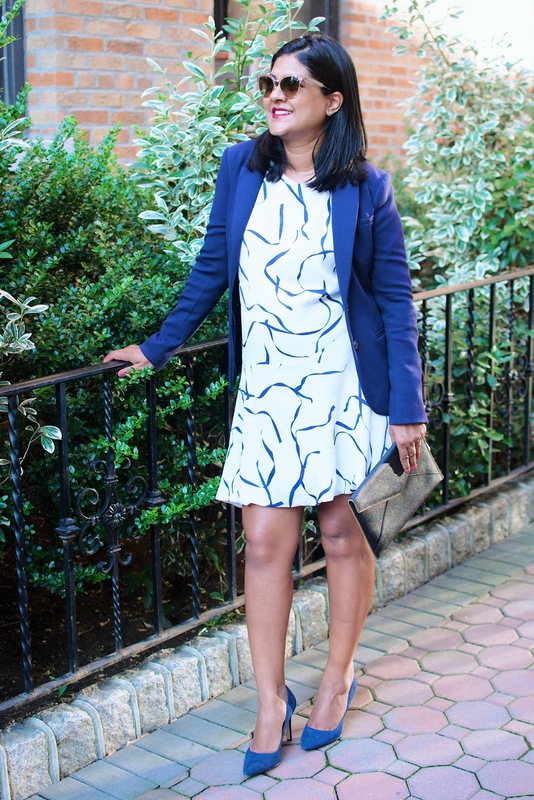 These are dresses that are great for a business casual office. 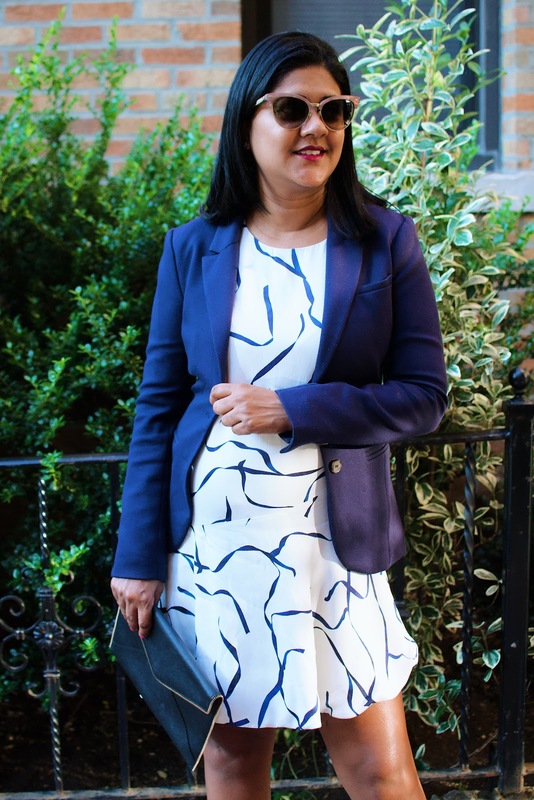 The first dress is a size larger than I normally wear and I paired it with my blue blazer. It’s a chic office look that goes well from the conference room to dinner afterwards with girlfriends, just remove the blazer and you are on your way. The second dress from Derek Lam is a shift dress that is extremely comfortable. This outfit means business and keeps the attention on your work. Dresses, I find, are the best work attire when pregnant. It also makes your morning routine faster with only having to worry about one piece. They are very business appropriate and also easy to style from day to night. 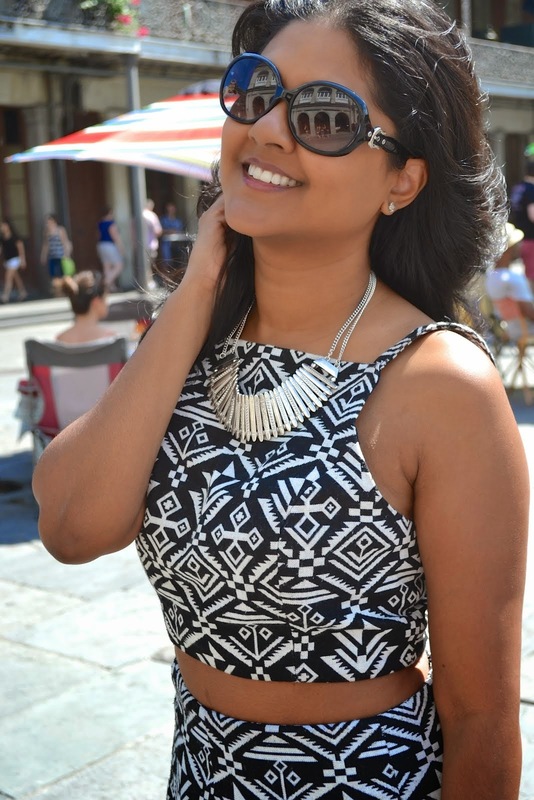 Dresses are versatile and these specifically, are comfortable and keeping me cool in this hot summer! I've only had to size up one size so far so these dresses will last we all summer until the temperature changes and the air begins to become crisp. 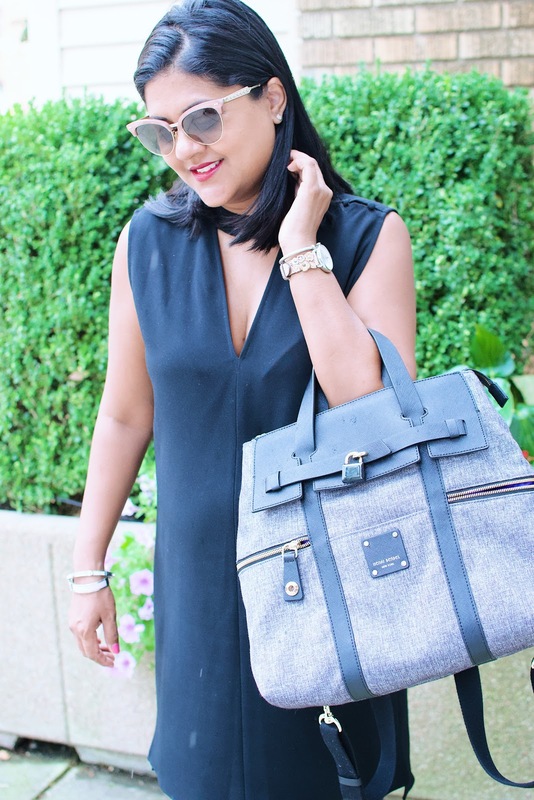 In addition, I have been carrying my Henri Bendel Jetsetter backpack for work. I noticed it has been easier to me to carry a backpack where the weight is distributed evenly instead of lugging a tote on one side.